When busily going about your business for your store, the last thing you want is an error in your admin slowing you down. 😖 But alas, sometimes a little troubleshooting is required when you stumble upon an unexpected issue. Please provide Reference #118120277 if contacting customer service. In both cases, the most likely source is that you have inadvertently assigned two categories as subcategories of each other. There are several ways to address this problem. 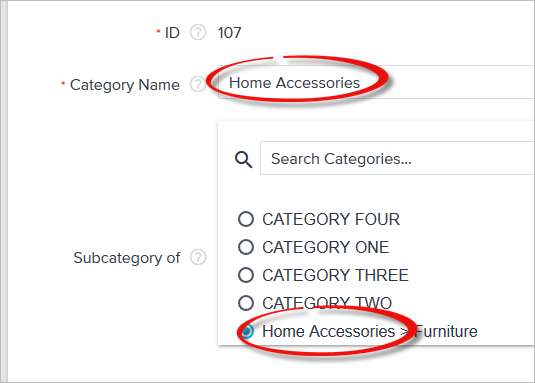 We recommend simply editing the Subcategory of value on the categories involved to remove the loop. If the category you would like to edit is not visible in the category tree, press View List. Here, you can either select the ID number of the category and follow the procedure above, or hover over the Parent ID column heading, press Edit, edit the row of your choice, and press Save. If the Parent ID column is not exposed, click the three-dot actions menu icon, select Customize Columns, select the Parent ID check box, and press Apply Changes.